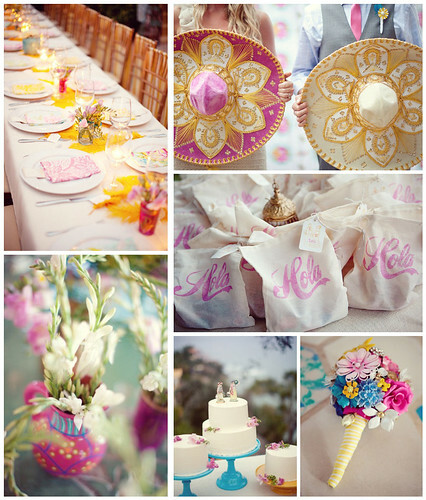 This stunning wedding, featured on Style Me Pretty back in April, is the perfect eye candy for today -- Cinco de Mayo! The wedding took place in Sayulita, Mexico, and is full of beautiful details and color. A relaxed fiesta style reception would be perfect for those of you celebrating your wedding in the beginning of May. A rehearsal dinner would also be the ideal event for a fun fiesta theme.